While the existing Phantom is on its way out, with a redesigned model to be launched soon, the Ghost is ready to soldier on for a few more years. 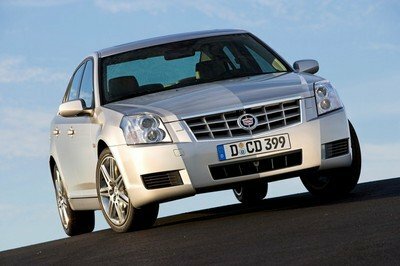 Introduced in 2010 and updated in 2014, the full-size sedan will be around at least until 2018. 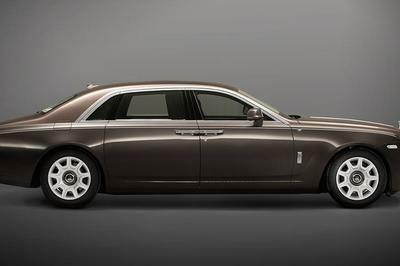 Most likely, Rolls-Royce won’t bother to release another facelift, but we will see plenty of Bespoke-made versions, just like the unique Ghost Elegance that the British automaker launched just in time for the 2017 Geneva Motor Show. Created for an unnamed owner that "exudes unapologetic luxury and grandeur" (whatever this is supposed to mean...), the Ghost Elegance is just like any other Bespoke model, featuring custom paint with thin stripes on the outside and two-tone upholstery on the inside. However, unlike any other production car so far, it is finished in a paint created from diamonds. Yup, you read that right. And what’s more, Rolls-Royce crushed no fewer than 1,000 diamonds to create enough paint for about half a Ghost. Named Diamond Stardust, this is arguably the most luxurious and expensive paint to ever grace a production car. A bit flamboyant if you ask me, but it definitely takes automotive paint to the next level. Continue reading to learn more about the Rolls-Royce Ghost Extended Wheelbase Elegance. Although not the type of color that stands out, the Diamond Stardust paint is obviously the main feature of the car. Although not the type of color that stands out, the Diamond Stardust paint is obviously the main feature of the car. Essentially a dark gray with metal-like flakes, this bespoke paint is impressive not by means of hue, but by the special process it was created with. Specifically, the 1,000 diamonds used in the paint first went through extensive testing to ensure their radiance when used in a paint. The company says it spent two months to achieve the perfect result by examining the dimensions of the precious stones with the use of a high-powered microscope. "The density and strength of the diamonds created a challenge for the team to produce an easy marriage with the clear paint and its ability to spread gracefully over a surface, leaving the diamonds undetectable to the touch," said Rolls Royce in a statement. This process eventually resulted in the creation of a very fine diamond powder which was then mixed into the paint. Additionally, a new and unique paint process was developed, including an extra final layer of lacquer to protect the diamond particles during the hand-polishing process. A new and unique paint process was developed, including an extra final layer of lacquer to protect the diamond particles. 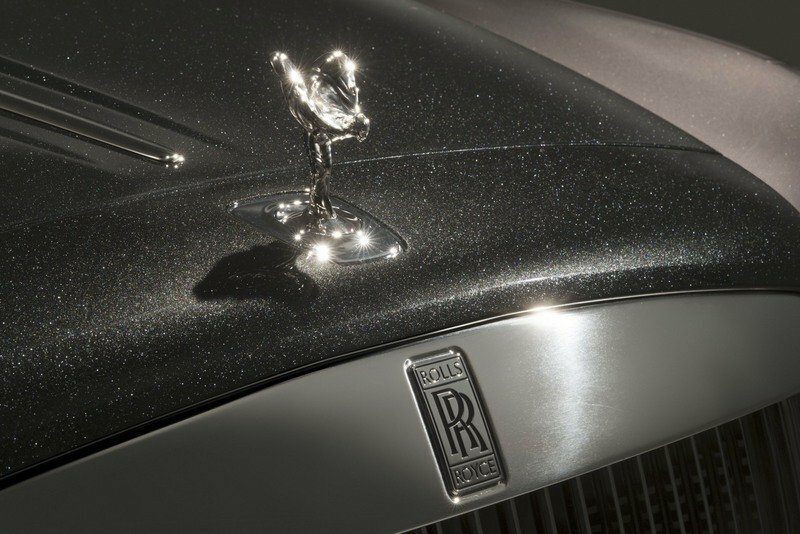 Although the first official photos aren’t very revealing, Rolls-Royce says that the paint finish "glistens like no other." To be honest, I’m not that impressed, but I’m taking the company’s word for the uniqueness of the paint until I see photos from more than one angle and under different lighting conditions. Special paint aside, the lower body is finished in a lighter grey highlighted by Mugello Red and Black lines. 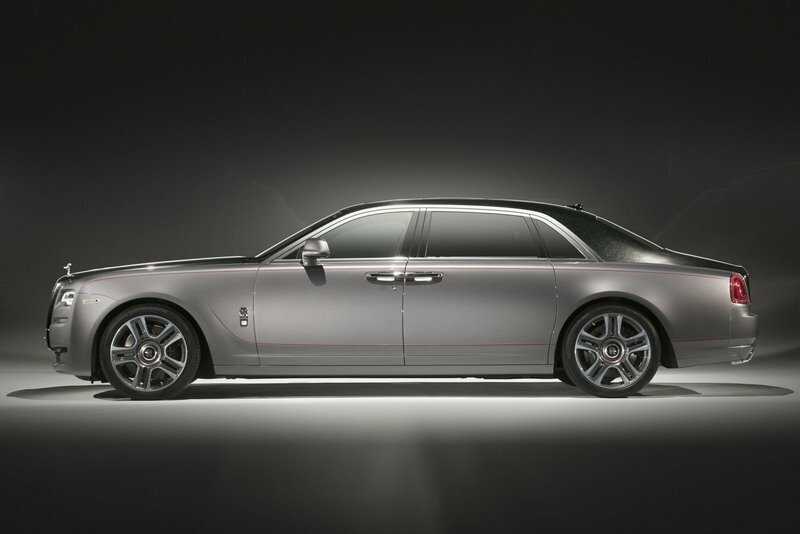 The thin stripes adorn the Ghost’s beltine, but, unlike other Rolls-Royces, can also be seen just above the side skirts. Finally, the two-tone, 21-inch wheels have hand-painted, Mugello Red pinstripes. Although there are no diamonds inside the cabin, the cockpit was inspired by by early luxury cars. As we’ve come to expect from Bespoke-made Ghosts, the interior received even more attention. Although there are no diamonds inside the cabin, the cockpit was inspired by by early luxury cars in which the driver and passenger areas were separated by distinct upholstery and trim. While the front section has black leather with red piping on the seats and red stitching on the door panels, the rear seats feature Selby Grey soft leather with Mugello Red stitching. The inner pockets of the rear doors and the front seatbacks sport grey, black, and red tartan. The interior is rounded off by open-pore Tudor Oak veneer and the obligatory Bespoke clock on the dashboard. There’s no word as to what lurks under the hood, but it must be the massive, 6.6-liter V-12 that’s standard in every Ghost Model. 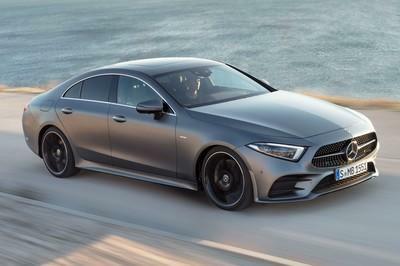 However, Rolls-Royce didn’t say whether the output is the regular 562 horsepower and 575 pound-feet of torque or the 604 horsepower and 620 pound-feet available in the Black Badge and a few other Bespoke models. 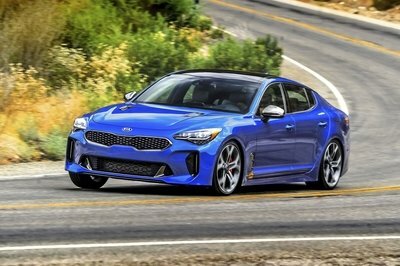 Whatever the case, the Ghost uses an eight-speed automatic transmission and it should hit 60 mph from a standing start in at least 4.7 seconds. Top speed is rated at 155 mph. 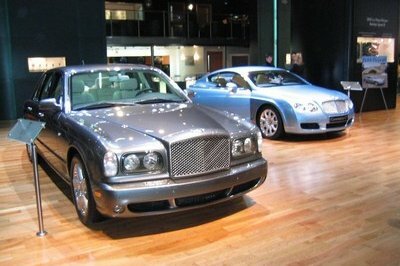 As it is the case with unique models, Rolls-Royce did not release pricing for the Ghost Elegance. A Bespoke model usually retails for more than $300,000 (versus the standard $250,000 sticker), but you might as well add a fortune for the 1,000 diamonds crushed for the special paint. ‘Dawn - Inspired by Fashion’ will, with its Spring/Summer 2017 collection of three colour schemes, show how Bespoke means complementing the fine couture our patrons wear from day to day. And one patron has allowed Rolls-Royce to show the Geneva crowds that only they can “create the unimaginable” by showing the Elegance, the ultimate expression of luxury with the luxury world’s first Diamond paint finish. Such cars are considered works of art by their collectors and owners, and in homage to this status, Belgian artist, Charles Kaisin, has created a Bespoke sculpture for the Rolls-Royce Art Programme that will adorn the Rolls-Royce stand for the duration of the Geneva Salon.